The game presents a conventional cast of characters, including an all-around hero, a slender and quick female operative, and a brooding, muscle-bound strongman. The enemies are generic, the plot is unsophisticated, and most disappointingly, the replay value is virtually nonexistent. Charge ‘N Blast isn’t a bad game by any means, but it is also standard and conformist, and it hardly stands out in a crowded crop of shooters. 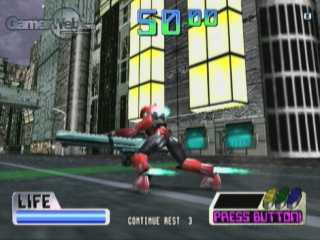 While it’s a completely conventional game, Charge ‘N Blast does feature an innovative gameplay system. 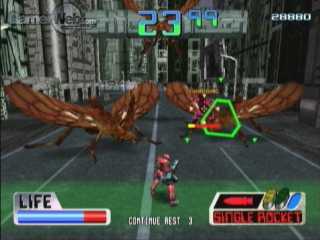 Like many shooters before it, the game asks you to vanquish all the enemies in one small section of a larger level before moving on to the next section. 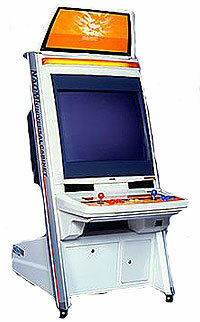 But that is where most of the similarities end, at least in the gameplay department. The control mechanics can be best described as frequently hectic. Each weapon has its own strengths and weaknesses, and its effectiveness depends on the area and the type of enemy. For example, you can use the single missile to fire at distant enemies, while torpedoes can be used to take out underwater foes. Unfortunately, even with all this firepower at hand, Charge ‘N Blast isn’t a difficult game. After mastering the control scheme, it is relatively easy to breeze through the game’s levels.